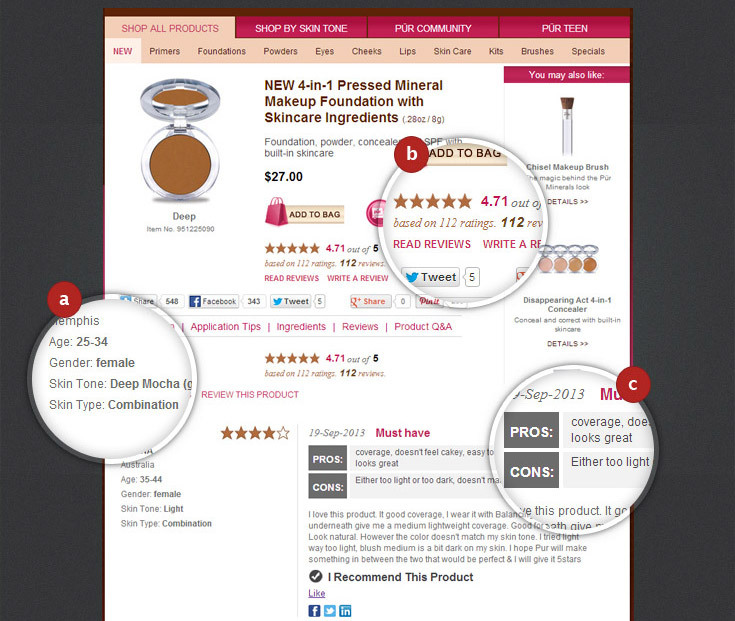 Presenting reviews next to your product information can encourage consumers who have intent to purchase. Reviews are SEO friendly, improve search engine rankings and drive customers to product pages. Rich snippet below is added to google search result page. Rating dimensions can be customized from the traditional star-based assessment to more custom ratings criteria. 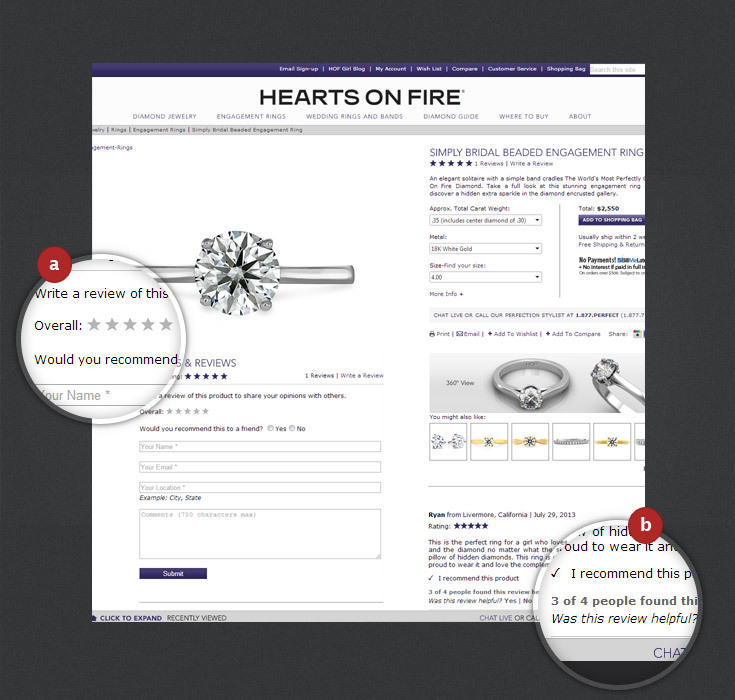 Customers can quickly access a summary of pros, cons and best uses, that raises customer confidence in a product. Reviews content gives other consumers information and assurance with regard to their own choices, informs and educates consumers. Research shows that 61% of customers read online reviews before making a purchase decision and they can produce an average 18% additional in sales implementing ratings and reviews. Word of mouth and referrals really take off when contributions have ability to travel from your community to the Social networks. Customers interactions, ratings and reviews can teach you a lot about your business, helps you to improve your products and services. Company moderators can comment on reviews providing additional insight and reactions. Social sharing can engage those visitors around reviews that is core to your offer. Embedded social tools allow reviewers to share their reviews on popular social networks such as Facebook, Twitter and LinkedIn. An integrated follow-up email system significantly increases volume of GOOD reviews. Our customers see a 400% increase in review volume after implementing our system. Reviews content (text, tags and keywords) gives other consumers information and assurance with regard to their own choices, informs and educates consumers. 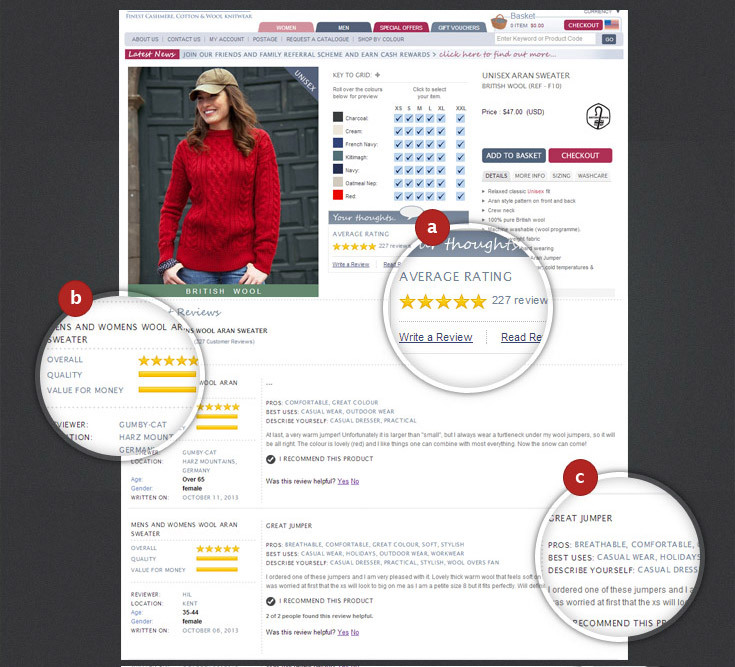 Reviewers can also attach photos and videos in the product reviews, making them more compelling and interactive.